Hello, Computer: Just what was that computer Star Trek's Gene Roddenberry used? We solve the mystery of who made the generic-looking computer that Star Trek's Gene Roddenberry used for years. His vision of the future inspired legions of engineers, nerds, and techies, as well as Bluetooth headsets, the iPad, Siri, and cell phones. But what kind of techie was the late Star Trek creator Gene Roddenberry in real life? Or more specifically, what kind of computer did the man use? These questions all bubbled up when Gene Roddenberry’s long-lost floppy disks surfaced. The disks, all artifacts in themselves, were salvaged, but information about the actual computer he used to create them has been a mystery. The auctioned computer appears to have been purchased by a fan, where its notoriety has secured it a spot on the Star Trek convention circuit. 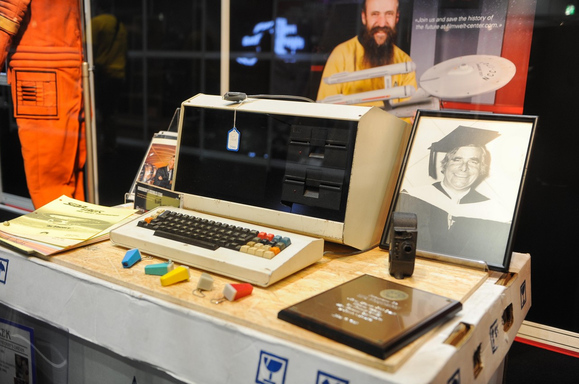 Gene Roddenberry’s computer is important enough that it even made the Star Trek convention circuit in 2014. If you know your computers, you know that’s not an IBM PC. In fact, it’s so generic, you’d think it was one of those plastic props used in an Ikea furniture store to sell Blërg desks. I consulted our resident vintage computing expert Benj Edwards of Vintagecomputing.com and our own "This Old Tech" column, and even he was stumped by the make of Roddenberry’s computer. “That’s probably not an IBM compatible machine. 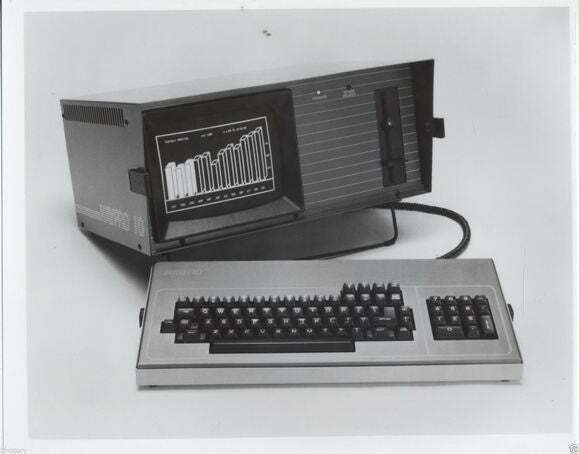 It’s likely a very obscure CP/M business machine circa 1978-83,“ Edwards said after seeing pictures of it and being told of the auction house details. His educated guess was a Blackhawk Computer Systems Model III or older running on a Zilog Z-80 processor. And no, it’s not a Daystrom Institute M-5 Multitronic unit from the episode, "The Ultimate Computer." The Ultimate Computer in the 22nd century is still a desktop, as we can tell from this M-5 multitronic computer. So what is that mysterious white box? 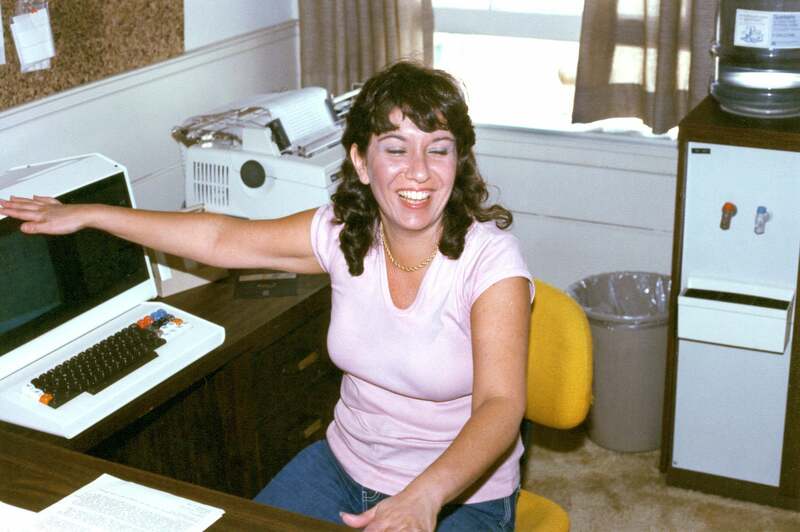 Gene Roddenberry’s “computer” for many years was a Lexoriter, a dedicated word processor purchased in the early 1980s, according to Susan Sackett. Sackett should know. She’s the author of several Star Trek books and worked as Roddenberry’s executive assistant from 1974 until his death in 1991. Gene Roddenberry’s long-time executive assistant Susan Sackett has a good laugh in front of one of the Lexoriter computers the Star Trek creator used. Sackett said the pair cost about $6,000 to $7,000 and one sat on her desk with a daisywheel printer (later upgraded to a dot-matrix) while the other sat on Roddenberry’s. The disks would be handed back and forth via the classic Sneakernet of the early '80s. The machine itself, from what I can tell from a 1982 edition of Computerworld, had a Zilog Z-80 processor, two floppies, and the Luxor WP software on a ROM chip. It was touted as being able to interface with the popular electric typewriters of the period. Its maker, Luxor Corp., appears defunct, but the similarities with the chassis used for the CP/M-based Blackhawk Computer System that Edwards thought it was makes me wonder whether Luxor didn’t just source its chassis from Blackhawk. One thing Sackett is certain of, though: how much RAM the computers had, because Roddenberry would brag about the whopping 64K. Gene Roddenberry and Susan Sackett in front of a Lexoriter “computer.” If you look close enough you can see the printer to the right of Sackett and the traditional box of 5.25-inch floppy disks. For the most part, Roddenberry's “computer” was mostly a glorified typewriter, but he put it to good use filling those 200 missing disks. “Gene constantly upgraded his devices. He used them mainly for writing and rewriting his Star Trek II novel, which was never published, as well as the script, which was never filmed, and for his speeches and general rewrites of all these,” Sackett said. She also ventured a guess as to what is on those disks. Star Trek creator Gene Roddenberry also bought a Kaypro 10 and asked "Trouble with Tribbles" writer David Gerrold to help him use it. The pair of work “computers” may not have been Roddenberry’s first personal computer, though. Science fiction author David Gerrold, who wrote the classic Trek episode "The Trouble with Tribbles" and helped developed Star Trek: The Next Generation, said he believed Roddenberry’s first personal computer was a Kaypro 10 that was bought in 1983. 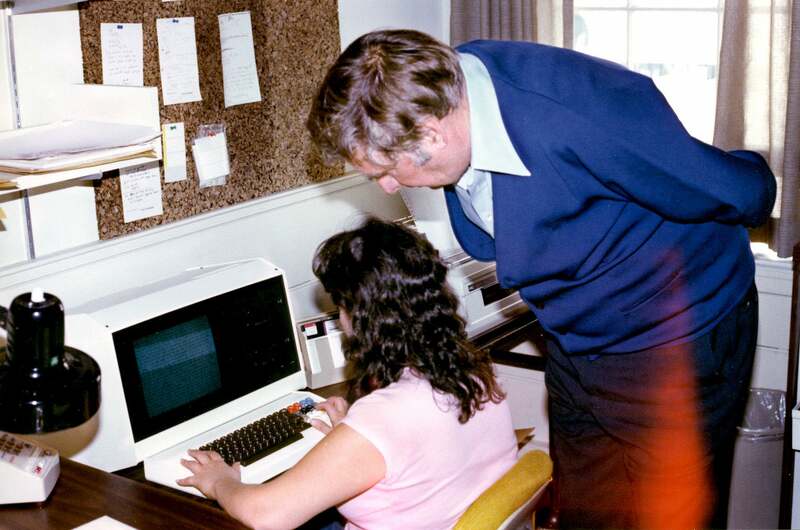 Knowing Gerrold to be a computer nerd, Roddenberry turned to him for help with the Kaypro 10. Offering a little more insight on Roddenberry’s computing history, Gerrold said he didn’t recognize the pair of Lexoriters but did say Paramount provided the writing staff with “IBMs” for the work on Star Trek: The Next Generation. Apple gave Gene Roddenberry a Mac 128K in 1986. But what about his Mac? So what we know about The Great Bird of the Galaxy’s computing habits seems to point mostly to business machines. Roddenberry, however, is often associated with Apple’s Macintosh. 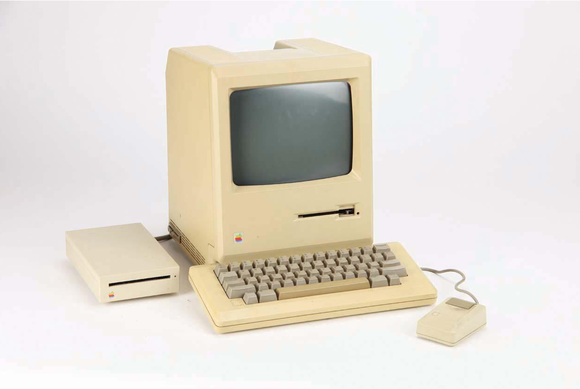 Roddenberry did own a Mac that was given to him by Apple in 1986. That machine was auctioned off in 2009 to much fanfare and created a minor tizzy when it was wrongfully thought to be the first Mac Plus ever made. A date of 1986, however, would be well after his use of the Lexoriters and Kaypro 10. Sackett also said she didn’t recall Roddenberry ever using the Mac much, instead continuing to buy newer PCs. Still, Mac fans will always have the one Star Trek memory over the PC and CP/M machines.